PB100X, a recent addition to the PaleoBOND family, is STRONG! With a thickness of 100cps, PB100X is surface insensitive, meaning it will bond all types of surfaces together. 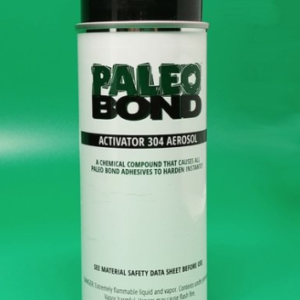 Use when you need a really strong bond to hold your fossils and minerals together. Cures in seconds. Does not require activator to cure quickly. Kit includes: One 2 oz. 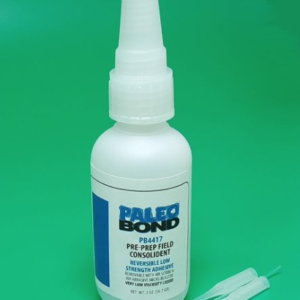 bottle of PB100X, 2 microtips and 2 stiff tips. I have done fossil repair and restoration for years. 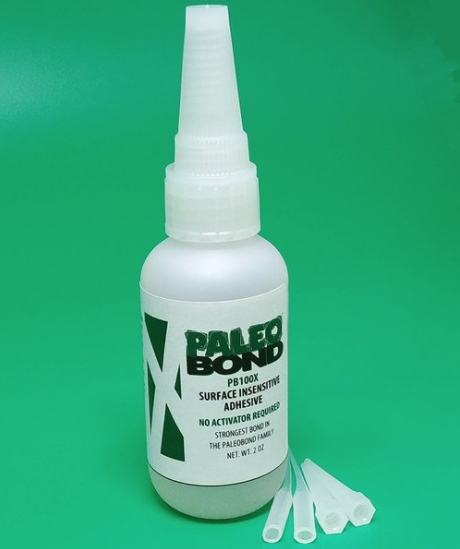 When I first used this bonder, I was surprised that it really DOES bond within 20 seconds. This is a real plus,when dealing with tiny, fragile pieces.! Thanks for the great feedback! PB100X is PaleoBOND on steroids and because it’s surface insensitive, can bond all kinds of things quickly! Just a quick tip for new users: Make sure all those pieces are lined up before adding the PB100X. It does cure quickly! 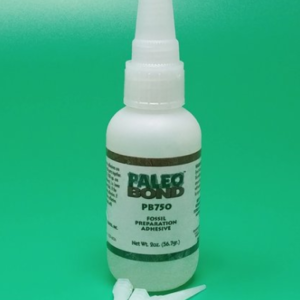 I recently purchased the PaleoBond PB100X Structural Adhesive and used it on a section of mosasaur bone that needed repair. 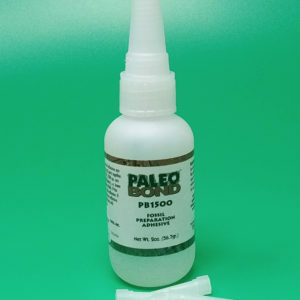 The product was easy to use and exceeded my expectations.